Yep...raining so tinkering...no rush just enjoy working out the engineering...removed the panel to get too washer pipes...clever...new t piece back together and water out of jets very satisfying...i spoke to Clive about this yesterday but when i put it on my insurance came up as rx7 2 twr....?. Did some googling and no twr bits onit at all..whats that all about? If there are any bits you need let me know as I always over-order when I get some stuff shipped from RockAuto and have some brand new spares knocking around (brake rebuild kits, clutch slaves, exhaust manifold gaskets, etc). Can bring stuff down to Combe if we're quick! Defo exhaust manifold gasket pls pls pls! Ill bring cash! Mmm front caliper rebuild kit per chance? Strange like an rx8 pz...which is missing the pz bits...was there an official fb rx7 twr? 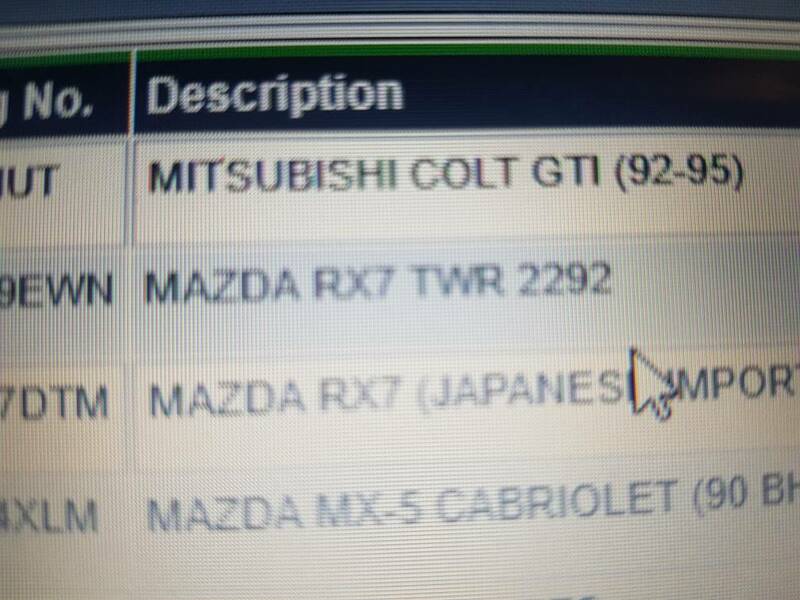 Like rx8 pz...does it say pz on a logbook though?..i dont know...its special thats all that matters.. I'll certainly bring a gasket and I'll check on whether I have front caliper kits (should have). Do you need two kits , one per front caliper, if I have them? Cool..yep may as well rebuild the pair..thanks..
Let me know what i owe you Malcolm and i can sort the right money out for tomoz...or paypal whatever you prefer...? Well, i putting up for sale. accumulation of things, fender bending FD and some health issues taking my time. £2500.00 ovno....will be going on ebay in next few days. Had my first viewing on fb and i flooded it...jump pack just not turning engine over fast enough...by the time id hooked up Shogun...just not having it doh...she doesnt want to leave. Then i upset the mrs as shes had her hair done with some curls....i said" looks very nice reminds me of a king charles spanial " oops lol.